Sunburn is one of the most common problems that people face during summers. One of the effects of sunburn is red patches on the skin that can cause immense pain. Even though ointments and Aspirin can help in easing the pain but it does not offer permanent relief from pain. However, this can change as British researchers have discovered the molecule that is responsible for causing pain by sunburn. Most experts believe that discovering of the molecule will help in finding a treatment for this problem. The protein that causes pain sunburn is called CXCL5 and blocking the effects of this protein can help in alleviating the pain. Some experts are of the view that sunburn pain is a natural process and taking medication to block the pain can have side-effects. 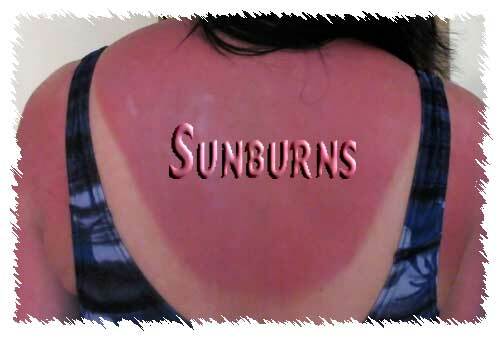 When a person suffers from sunburn pain, it is an indication of the danger the person is exposed to. When you take medication to stop the pain, it can cause irreparable damage to the skin. Sunburns are usually caused when the skin is exposed to ultraviolet radiation. The radiation kills a few skin cells and permanently damages others. At times, excessive exposure to ultraviolet rays can cause skin cancer. To prevent the ultraviolet rays from damaging the cells, the body sends more blood to these cells so they can get the required nutrients and oxygen. When excessive blood is sent to the skin it turns red. To protect your skin from ultraviolet radiation, it is best that you use a broad-brimmed hat or a good sunscreen when you go out in sun. When you take these precautions you not only reduce the risk of skin burn but also lower the risk of skin cancer.